Resignation by an academic employee, whether tenured or on a term appointment, is normally effective at the end of an academic term or on June 30 or December 31 for those on 12-month appointments. To allow the academic unit to prepare for the loss of the staff member, the employee should notify the department chairperson or the director of the unit of the intended resignation as early as possible. Because academic policy prohibits pay for accrued vacation after the termination date of a resigned appointment (except when electing formal retirement), discussions with the chair or director should include any proposed use of vacation accrual. A minimum of a month’s notice of resignation is required from the academic employee. 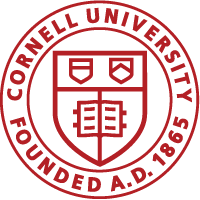 In some cases, when a valued member of the faculty is to leave the university, arrangements are made for a leave of absence rather than a resignation, in the hope that the person will return to Cornell. Such arrangements for up to one year require the approval of the department chair or director and the dean or vice provost. For those with joint appointments or other concurrent appointments, the approvals must be obtained from all of the relevant units and executives. To extend leave beyond one year requires approval of the provost through the Office of Academic Human Resources. The leave should not, in any event, exceed more than one year from the date a tenured Cornell professor assumes a tenured appointment at another institution. In this situation, the department cannot recruit a permanent replacement, and a vacant formal position (including appropriate tenure status) with its budgetary commitment, must be reserved in case the person does return. Those considering resignation or retirement for medical reasons should consult Leaves for Professors and Academic Staff.